HOME > TECH > HTC Smartwatch 2016: HTC to launch their smartwatch in April; Will it be called HTC Halfbreak, HTC Petra or HTC One Wear? HTC Smartwatch 2016: HTC to launch their smartwatch in April; Will it be called HTC Halfbreak, HTC Petra or HTC One Wear? As MWC 2016 is just about to happen this month, rumors are surfacing that HTC's first smartwatch will be arriving before end of April. This is not the first time that we heard about HTC making its own smart time piece, as it was already reported in 2015 that the Taiwanese smartphone maker is working on their own Android Wear, Phandroid reported. Just two months after the rumor started, HTC scraped the project and decided to not compete with other Android wear manufacturers at that time - Samsung, LG, Motorola, just to name a few. However, maybe due to smartphone struggle, HTC changed its mind, and talks have been laid out in December 2015 that the company will be releasing a smartwatch this month, Phone Arena reported. The upcoming HTC smartwatch, which was first codenamed as HTC Petra or HTC One Wear, is now dubbed as Halfbreak. HTC Halfbreak is rumored to be equipped with 360 x 360 resolution display that will feature a circular design. 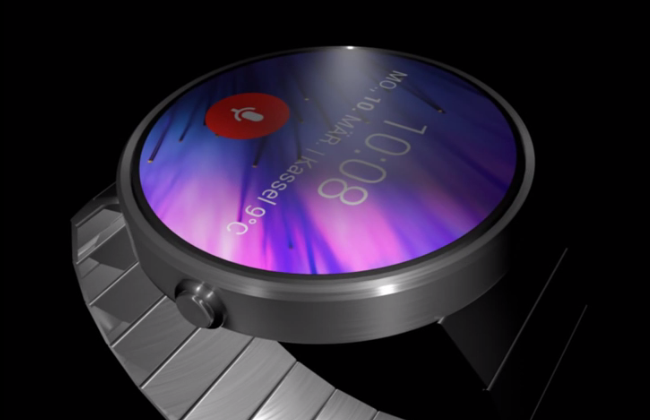 The said HTC Smartwatch is also rumored to support Android Wear, which is compatible with Android and iOS devices. Based on all leaks before, it is said that the upcoming HTC smartwatch will not look too different from LG's G Watch and Samsung's Gear Live. It is also rumored to have a metal wristband and will come in three sizes - small, medium and large. Speculations suggest that HTC Halfbreak will be equipped with 1.8 inches flexible display screen and will only weigh at approximately 23g. In addition, rumor has it that the smartwatch will have three-day battery life, be equipped with POGO pin or USB charging, to sport Bluetooth support and GPS support. In terms of color, the said HTC smartwatch will be offered in black/blue-grey or teal/lime combinations. In terms of pricing, fans are expecting that it should be priced at around $200. Since all we have is just pure rumors, and basing on what happened before, the Taiwanese OEM HTC may, or may not, change their mind. If in case that HTC will be releasing their smartwatch in April, MWC 2016 would be the best event for them to showcase or to launch the device. Let's just wait until HTC will finally launch the HTC Halfbreak/HTC Petra/HTC One Wear.